We are aware that Amazon is one of the largest e-commerce retailers out there but what most of us don’t know is that it is a search engine and is subject to most algorithm rules just like Bing & Google subscribes to. Hence, it is important to know how to perform keyword research for Amazon products in order to increase visibility. But the question is how and where to look for potential keywords? Before we tell you the tricks to expand your product’s visibility with the right keywords, there are a few important things that you need to know first. So, here is a quick guide to what you are going to learn from this blog today. Why Should You Care About Using Keywords? What Are Amazon Backend Keywords? How To Add Hidden Keywords On Amazon? What Are Amazon Platinum Keywords? How To Perform Keyword Research For Amazon? How To Optimize Keywords On Product Listings? Generally, “keywords” are topics and ideas that describe or outline what your content is all about. But in terms of SEO (Search Engine Optimization), they are phrases and words that internet searchers enter into the search engines while searching for something. Whether you are a seller, a content creator, or a website owner, it is important to play around with relevant keywords on your page(s) so that the chances of your page ranking on the results page is higher. This way people are more likely to click on your page, provided that your content is of supreme quality and you have the right information/product/whatever they intend to look for. Well, keywords serve as the linchpin between the content that you provide and what people search for. Keywords fill this gap. Whether you are selling at Amazon marketplace, have your own e-commerce, or into blogging, your goal is to rank on the top results page in order to increase organic traffic. The keywords that you pick to target determine the amount of traffic (or visitors) you get. Search engines understand what people are searching for only through keywords. Its only with the help of keywords that a search engine knows what websites to show up or what products to display. So, why should you care about using keywords in your page? They say that a really cool piece of content works. Isn’t just enough to have a high-quality content? Why should I worry about using keywords? Well, just having an attractive piece of content won’t work. You have to ensure that the people who are looking for your website/product/service can locate you. But how? Well, with keywords. This doesn’t mean you have to just scatter your keywords around your web page. Creating captivating content is all about offering real value to real people. Hence, when it comes to keyword usage, there are specific rules to be followed before you start. 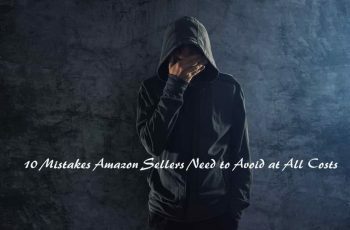 Amazon backend keywords are something that most sellers fail to overlook when they start to sell on Amazon. In fact, there are sellers that don’t fully comprehend the way it works or even know if something like this even exists. Of course, these two aspects are vital and play a key role in ranking your products on the Amazon SERP (Search Engine Results Page). But as said earlier, Amazon is also a popular search engine, and most sellers fail to understand that. As far as any search engine is considered, using appropriate keywords helps the pages to gain more visibility to its target audience. Amazon backend keywords are usually “hidden” keywords, which can only be used from the backend part of your Seller Account. The concept is to provide Amazon with extra details about a product listing. Think of these as a website’s “HTML tags,” which cannot be seen. Amazon backend keywords aren’t physically visible to people viewing an Amazon page. However, their influence to help a product listing to rank organically is tremendous, given that you have formatted them properly. Meta tags are code snippets that websites use extensively to get higher search visibility. Amazon backend keywords and meta tags pretty much serve the same purpose. 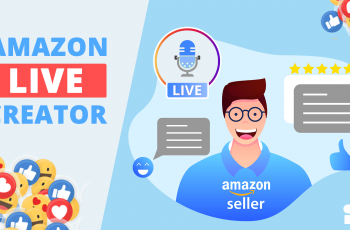 They help in informing and confirming with Amazon’s A9 algorithm that a product listing is going with a particular keyword. Consider this, Amazon offers the option of backend keywords, where sellers can include other keyword variations apart from the main (or primary) keyword. Say, for instance, if you are selling plus size clothing for women, then you would use “plus size clothing” as your targeting keyword, right? But there might be people who would search for big size clothing or clothing for obese women. So, how can you include these keywords? This is where the backend keyword section comes in handy. To add your product’s hidden keywords, you can easily do them through Amazon Seller Central’s User Interface. Step 1: Log in to your Amazon’s Seller account. Step 2: Click the tab named inventory. Step 3: At the right side, click the button edit. Step 4: From the tab named offer, click on keywords in order to open your hidden keywords section. The Amazon platinum keywords are only used by the merchants that have Amazon Platinum Accounts to build their storefronts. A platinum keyword allows a seller to customize the product’s structure in a way that their customers want to see while visiting the storefront. A seller uses this feature to maintain a proper relationship with the keyword choices. Amazon explicitly states that platinum keywords can only be filled by the platinum level merchants. So, obviously, a usual seller account will not be taken into account. 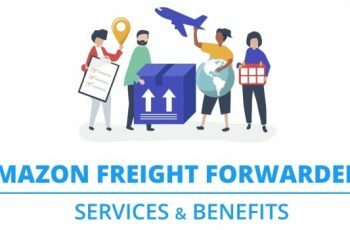 What to do if you aren’t a platinum merchant? You can use potential keywords in your product listings, which shoppers search for. Do proper research on the data and figures while choosing the keywords. If you are finding that hard, use a good keyword tool that gives you all the numbers in no time. These are small sellers who sell only a few products in a month. They do not pay a monthly subscription fee but rather pay a fixed fee. For every sale that they make, Amazon takes a commission. They work based on the pay-as-you-go system. Also known as “Pro Merchants,” Pro Sellers are high-volume and experienced sellers. They pay a monthly fee to upgrade their plan to Pro Merchant. This status comes with its own list of perks. A pro seller can create his or her own product pages, which Amazon themselves aren’t selling. They even get to sell in permission & restricted categories. The highest-tier sellers on Amazon are the “gold & platinum merchants.” So, obviously, the perks are going to be completely different from other sellers. These are sellers that have remarkably excellent sales history, incredible feedback metrics, great customer support, and huge revenue. Gold & Platinum status is offered only to merchants who reach extraordinary sales thresholds. However, the criteria to award this ultra-premium level is known solely to Amazon. You cannot buy or upgrade your account to platinum because it is an invite-only program, meaning that only if Amazon sends you an invitation to become a platinum merchant, you become one. The metrics that Amazon uses for determining whom to invite for this program are kept secret intentionally. Therefore, there aren’t automatic thresholds to become a Platinum Merchant. Keyword analysis is the foremost and most important step to execute before creating a product listing on Amazon. If you do not know what search terms your audience is using to discover your product, how are you ever going to generate sales? Optimizing your keywords has a noteworthy impact on your organic rankings. So, there are good reasons your keywords should be analyzed and utilized correctly. When your organic rankings improve, your product listing is automatically discovered and this in turn, draws more traffic. So, the foundation for developing appropriate content is by understanding which keywords can drive more traffic to your listing page. You can quickly do this by using a keyword tool. Check what your target audience is actually interested in. Create an engaging product description and bullet points around it. Attractive product image, compelling title, and clear description will not only attract potential shoppers towards your listing but also attract qualified visitors. If your product page provides real value to potential buyers, it is only going to give you a higher conversion rate. After you have shortlisted your potential keywords for your products, placing them at the right spots can have an incredible impact on the Amazon SERPs. Organic search engine rankings are important for long-term success. Analyzing the keywords will give you better insights into consumer behavior and present marketing trends. Keep your page updated on what is popular and vital to your target audience. 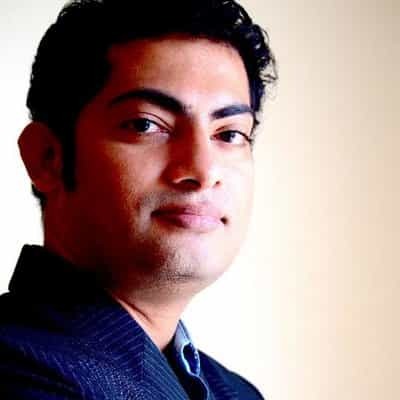 Utilize them to keep your product’s content relevant. When your product listings rank for the right keywords, then you are going to gain a good amount of traffic to them. 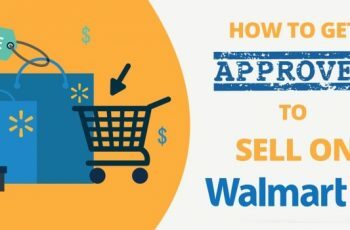 When you have potential buyers looking for your product, and if they are attractive and useful enough to put their money on, your sales are going to skyrocket. One of the most integral parts of Amazon SEO is keyword research. The phase entails researching all the relevant keywords for your product. These so-called “relevant” keywords will be the search terms that customers use to search for your products on Amazon. Say, for instance, if one buyer searches by typing the keyword “best swimwear” whereas the other could possible type “best swimsuit.” However, both mean the same and both are potential keywords. You need to include them in your listing. If you improve your keyword researching strategy and skills for your online selling business, you are going to get a huge benefit from the organic traffic that you get from the search engines. Evaluating a keyword’s popularity is one of the best ways to begin your research. Apparently, the more number of people search for a particular term, the higher will be the visitors coming to your listing after you rank in the results page. Granted, earning higher rankings isn’t that easy as it sounds but it isn’t impossible either. The more the popular keywords, the higher will be the volume. Yes, of course, you can use SemRush or Google Keyword Planner for this, but those tools give you details based on the users searching in Google search engine. But that’s something you don’t want if you are targeting to rank on Amazon search engine. Basically, the search volume for a keyword is something you need to pay attention to. You definitely don’t want to choose a keyword that has no searches. Pick something that has decent search volume and is not too competitive to rank. Try to use a tool that gives accurate keyword trends exclusively for Amazon. If you have no clue about it, scroll through the next section to see how you can get this done. Does the search volume for a keyword change over time? Well, yes! You will get to know this if you experience a few of your product listings underperforming for some search queries. Look at the monthly trends for a keyword to see how the traffic from several search queries has fluctuated in recent times. Though not all keywords have noteworthy upward or downward trends, most do — especially if your keywords are seasonal. For example, best Christmas gifts or best new year gifts for women. Also, if you take home improvement keywords, they may rise during summer & spring, and decline during the winter. Of course, choosing high search volume keywords is a great first step. But will this high-search-volume keyword rank on the Amazon SERPs or not is something you need to estimate. The answer is a good keyword tool that fetches search trends on Amazon. Check for the keyword’s competition. This number will give you an idea if there is a chance for ranking your product listing. The primary keyword is something that you are going to target for the product title whereas the secondary keywords (can be multiple) will be included in the description, bullet points, features, and so on. So, what techniques can you use to come up with the best possible keywords for your product listings? Now, this might sound a little clichéd but putting yourself in the customers’ shoes is one of the best ways to get this done. When will they buy your products? What terms they might use to search for your products? What questions will they have while looking for your products? What other related items they might prefer to buy apart from your products? Besides the quick keywords that come into your mind, it is also a great idea to tap into social networks. 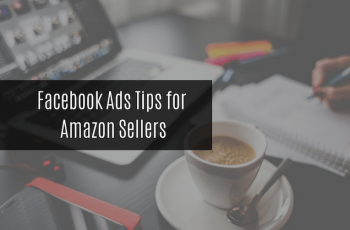 Check around Facebook groups or Reddit to see what shoppers are talking about your product. Perhaps, they frequently use brand names rather than the generic name of the product. Say, for instance, Kleenex rather than saying facial tissues. Look for acronyms or abbreviations that are commonly used within the community. 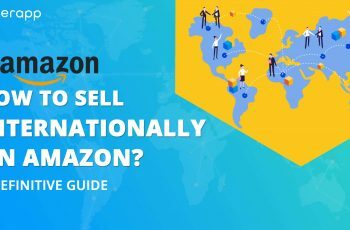 Even if you don’t have much money to invest on a high-end tool (though we do not recommend this because a tool is a right way to fetch all the potential keywords for your product listing), there is still something that can come in handy and that too for free – its Amazon itself. Go to Amazon’s search box and quickly type something that buyers would probably type while searching for your product and as you type, there you go – the Amazon’s autocomplete feature suggests you with potential keyword combinations. You can also use this as a part of your keyword research. The moment you start typing some letters in Amazon’s search box, you will have a list of suggestions. This autocomplete feature isn’t generated arbitrarily, rather, Amazon shows up the terms that people search the most. So, it does make sense! The autocomplete feature actually gives you a set of valid or authentic keywords. Note: This technique requires refinement and patience. Be systematic while doing this and go slow. A great inspiration source for keyword research (and something that is most often ignored) is your competitor’s product listings. 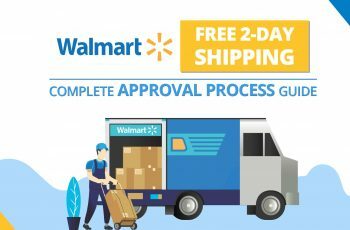 Check how they have listed their products and what kind of key terms have they included in the title, description, and bullet points. This will give you an idea of what keywords to use in your product listings. Just a quick skim through the product titles will give you an idea of different keywords that you might have forgotten. Note: Some sellers often look at the metric – competition – and conclude how hard it is going to be to rank a specific keyword. However, this metric reveals a different story. The “competition” refers only to the competition level of paid ads and not organic ranking difficulties. This is why it is best to have a keyword tool that shows clear data about keywords. 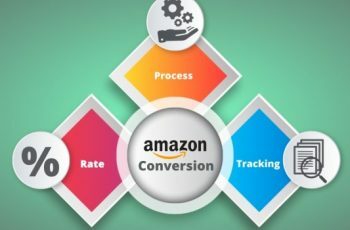 Though the online market is flooding with different keyword tools, it is important to have something that shows accurate numbers based on the Amazon search engine. Sellerapp’s keyword tool is a great way to accomplish this. Once you become its member, the clean dashboard allows you to perform multiple actions – from analyzing your PPC campaigns to fetching product ideas, and what not. The tool is exclusively designed to give a detailed insight into keywords that you are trying to research. You have a filter option to search for keywords based on a product category. What metrics does it show for a keyword? The “keywords” section displays all the relevant keywords that Amazon customers or potential buyers search for the search term that you have entered. This section is pretty much similar to the “keywords” section. However, the only difference is that it displays all the long-tail keywords for the search term you have entered. The “keyword difficulty” is one of the best parts of this tool. With this section, you get to determine how difficult it is to rank a particular keyword. When you scroll down, you will see a graph featuring “interest over time” for the keyword that you have entered. This gives you an idea if the popularity of the keyword has inclined or declined in recent times. When you scroll down even further, you will see the list of competitor ASINS associated with the keyword you are trying to research. This is a one-stop solution for all that you need to perform your keyword research. Here is a step-by-step guide to discover the best keywords on SellerApp for your products. Once you have shortlisted the potential keywords to include in your product listings, what’s the next step? Well, you have to put them in the right places. This is called keyword optimization. Don’t feel overwhelmed or bogged down. Spend a little time effectively and put efforts on a daily basis into SEO. This will help your listings to be more visible. Keyword research isn’t clear-cut or easy. It takes some time but will pay off in the end. Try to follow the guidelines given in this article to come up with the best keywords for your products. Unique and very useful information, thank you. Wow! thank you so much for such invaluable information!